ANU Poll. April 2015. Available: http://www.anu.edu.au/anupoll/[Accessed 29 August 2016]. Australian Bureau of Statistics. “Cultural Diversity in Australia.” Catalogue no. 2071.0. Available: http://www.abs.gov.au/ausstats/abs@.nsf/Lookup/2071.0main+features902012-2013. Australia, Department of Immigration and Border Protection. “Australian Citizenship Statistics.” Available: https://www.border.gov.au/Trav/Citi/Lear/Facts-and-statistics [Accessed 29 August 2016]. Australia, Department of Immigration and Border Protection. “Australian Citizenship Test Snapshot Report.” 30 June 2015. Available: border.gov.au. [Accessed 29 August 2016]. Australia, Department of Immigration and Border Protection. “Australia’s Migration Trends 2013–14.” Available: border.gov.au [Accessed 29 August 2016]. Australia 2010, Department of Immigration and Border Protection. “Citizenship in Australia.” Available: https://www.border.gov.au/ReportsandPublications/Documents/research/citizenship-in-australia-2011.pdf [Accessed 23 September 2016]. Australia, Department of Immigration and Border Protection, Fact Sheet. “Migration Program planning levels.” Available: border.gov.au [Accessed 29 August 2016]. Australia, Department of Immigration and Border Protection. “Special Category visa (subclass 444).” Available: https://www.border.gov.au/Trav/Visa-1/444- [Accessed 29 August 2016]. Australia, Department of Immigration and Border Protection. “Temporary entrants and New Zealand citizens in Australia.” Available: https://www.border.gov.au/ReportsandPublications/Documents/statistics/temp-entrants-newzealand-june15.pdf [Accessed 29 August 2016]. European Commission Public Opinion. Eurobarometer Surveys. Available:http://ec.europa.eu/public_opinion/cf/index.cfm?lang=en [Accessed 29 August 2016]. Focus Canada. Fall 2016. “Canadian public opinion about immigration and citizenship.” Available: http://www.environicsinstitute.org/uploads/institute-projects/focus%20canada%20fall%202016%20survey%20on%20immigration-citizenship%20-%20final%20report.pdf [Accessed 24 November 2016]. Goot, Murray. “Migrant numbers, Asian immigration and multiculturalism: trends in the polls, 1943–1998.” National Multicultural Advisory Council, Australian Multiculturalism for a New Century. Statistical Appendix part 2. 1999. Available: http://www.immi.gov.au/media/publications/multicultural/nmac/statistics.pdf [Accessed 29 August 2016]. International Organization for Migration 2015. “How the World Views Migration.”Available: http://publications.iom.int/books/how-world-views-migration [Accessed 29 August 2016]. Lowy Institute Poll 2016. The Lowy Institute for International Policy. Available: https://www.lowyinstitute.org/publications/lowy-institute-poll-2016 [Accessed 29 August 2016]. Pew Research Centre. “Most support limiting immigration.” 2014. Available: http://www.pewglobal.org/2014/05/12/chapter-3-most-support-limiting-immigration/[Accessed 29 August 2016]. Pew Research Centre. “Americans’ views of immigrants marked by widening partisan, generational divides.” 2016. Available: http://www.pewresearch.org/fact-tank/2016/04/15/americans-views-of-immigrants-marked-by-widening-partisan-generational-divides/[Accessed 29 August 2016]. Smith, David, Wykes, Janice, Jayarajah, Sanuki, Fabijanic, Taya. “Citizenship in Australia.” Department of Immigration and Citizenship, 2010. 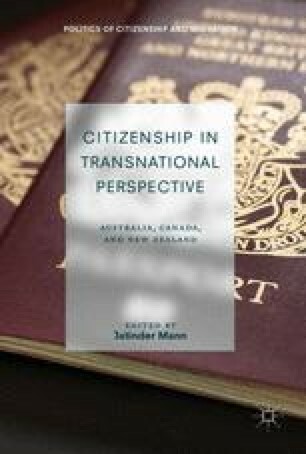 Available: http://www.immi.gov.au/media/publications/research/_pdf/citizenship-in-australia-2011.pdf [Accessed 14 January 2014].